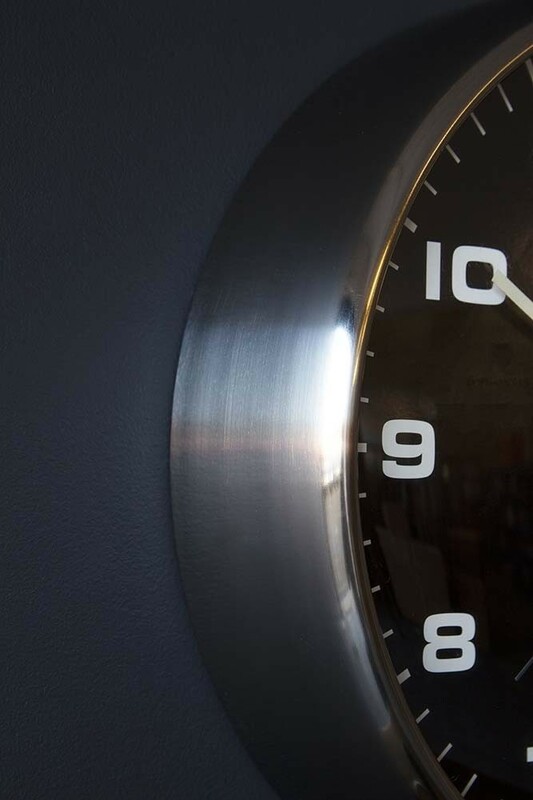 Bold and beautiful we love the Newgate Contemporary Burnished Steel Silent Wall Clock! A thing of beauty, the Newgate Contemporary Burnished Steel Silent Wall Clock will tell the time… in style! Display on your walls in the kitchen, hallways, bedrooms or home office and create an interesting focal point that will catch the eye and make you smile. 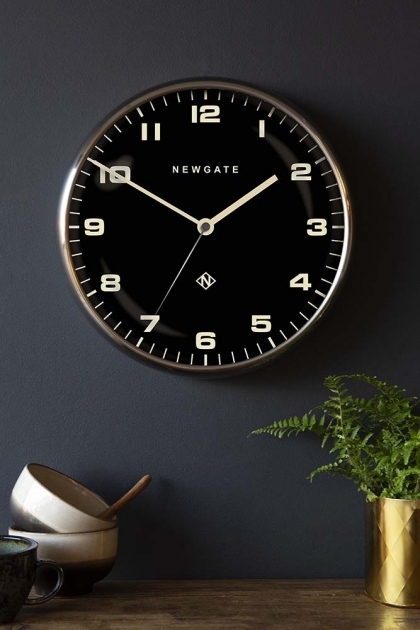 Featuring a deep metal case with a burnished finish containing a black dial, retro numerals and a convex glass lens this wall clock is packed with retro mid-century style! 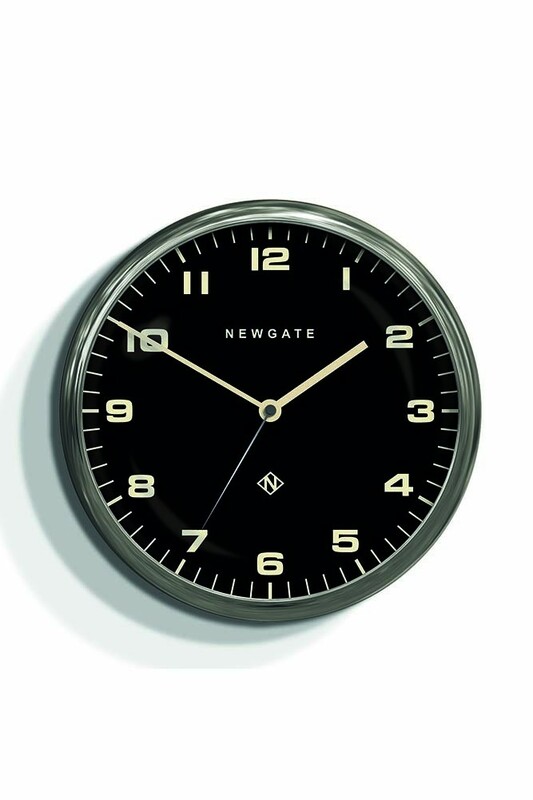 With a silent ‘no tick’ movement this clock is quieter than most making it particularly suitable for offices and hallways as well as kitchens. This striking clock will suit most décor styles, but we think that it would look absolutely fabulous in contemporary style kitchens. Clock: Silent no tick movement.